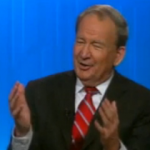 From Mediaite: Shocking — Pat Buchanan is saying controversial things again. This time, he’s offending women. Reports Mediaite, “During Sunday’s edition of the long-running syndicated political talk show The McLaughlin Group, the panel discussed the potential for a female presidency in America. Asked specifically when the country would elect its first female president, conservative commentator Pat Buchanan predicted the year ‘2040 or 2050.’ When pressed about the year being so far away, Buchanan quipped ‘let’s hope so.’ No stranger to controversy, Buchanan was recently fired from his contributor post at MSNBC after controversy erupted over his newest book which bemoans ‘the end of White America. '” Read the full story here. From Gossip Cop: Continuing to report on the TomKat divorce story, it has been announced that Tom Cruise and Katie Holmes have reached a settlement, less than two weeks after they split. Reports Gossip Cop, “Holmes’ lawyer Jonathan Wolfe tells Gossip Cop in a statement, ‘This case has been settled and the agreement has been signed. We are thrilled for Katie and her family and are excited to watch as she embarks on the next chapter of her life.’ Wolfe adds, ‘We thank Tom’s counsel for their professionalism and diligence that helped bring about this speedy resolution.’ Cruise and Holmes also issued a joint statement, which reads, ‘We are committed to working together as parents to accomplish what is in our daughter Suri’s best interests. '” No details on the agreement are currently known. Read more here. From Geekosystem: How would it feel to lose a lawsuit because you’re “not as cool” as your opponent? 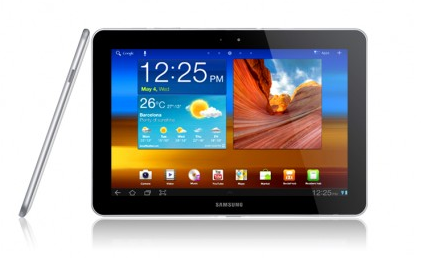 That’s what happened to the Samsung Galaxy tablet, following up on a story that Geekosystem recently reported. 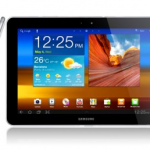 that the Samsung Galaxy tab is under serious patent-assault from Apple. However, a U.K. judge just ruled that the Android tablet does not infringe on Apple’s characteristic iPad design. Reports Geekosystem, “[I]t’s only because the judge decided the Samsung Galaxy Tab just isn’t ‘as cool’ as its competitor. Winning is still winning, but winning like that must not be very much fun. Judge Colin Briss announced his decision in London today, dishing out the verdict Samsung was hoping for, but some reasoning that’s got to sting a little bit. According to Briss, the Galaxy Tabs just ‘do not have the same understated and extreme simplicity which is possessed by the Apple design,’ and therefore, ‘They are not as cool. '” Read the story here. From Styleite: Is there big news in the fashion world regarding the sale of Valentino? To the royal family of Qatar? Reports Styleite, “WWD reports that a finalized sale of Valentino by private equity group Permira to an unnamed ‘single party…could be just weeks away,’ however other news outlets are telling a slightly different story. London’s Telegraph asserts that the sale of the luxury brand is a done deal, to the tune of €600 million, or about $737.5 million at current exchange. (And you thought that studded tote you’ve been coveting was a pricey buy!) Sky News claims an exclusive scoop on the identity of the alleged buyers: the royal family of Qatar, who also own London’s iconic department store Harrod’s and a host of other ‘trophy assets.’ A rep from Valentino neglected to comment on the latter report to WWD, however chief executive officer Stefano Sassi offered some words on the brand’s value to buyers.” Read what he had to say here. From SportsGrid: As the 2012 Olympics near, fans and players alike are getting excited and ready for the games. 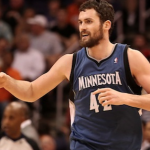 For one Team USA basketball player, Kevin Love, though, it’s made him question his future in the NBA. Reports Sportsgrid, “Yesterday, during USA Olympic Basketball practice, Love told Yahoo! Sports that having to listen to all of his USA teammates talk about their playoff exploits was making him realize just how frustrating his situation in Minnesota has been. ‘My patience is not high,’ Love said… ‘It’s tough seeing all these guys that are young and older who have all played in the playoffs. When they start talking about that, I have nothing to talk about. If I don’t make the playoffs next year I don’t know what will happen.’ This piece of news would both scare and excite me if I was a Wolves fan. Love wants to win. That’s awesome. You have to have guys on your roster, especially your best players, that want to be successful. I know that sounds obvious, but it’s a point worth making. 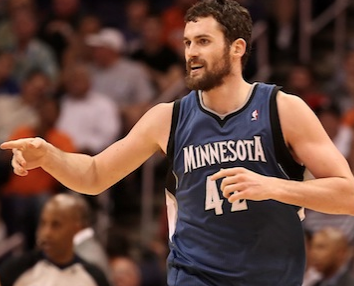 Here’s the issue, though: Will Minnesota heed his words?” Read the full story here. From The Mary Sue: Hunger Games fans: the rumors are true. Catching Fire is finally starting to cast! Reports The Mary Sue, “Previously, producers had told fans to take a breather when it came to casting rumors but in this case, they were 100% true. 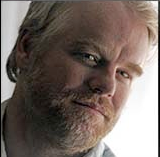 Philip Seymour Hoffman has been cast as Plutarch Heavensbee in The Hunger Games: Catching Fire! We were actually pretty excited when we first heard Hoffman might take the role. E! Online quoted a source who tells them the deal was finalized around the Fourth of July. But if you still feel skeptical, don’t worry. Hoffman is now pictured on the movie’s official Facebook page. The producers said they ‘are pleased to announce that Philip Seymour Hoffman has been cast in the role of Plutarch Heavensbee, Head Gamemaker for The Hunger Games, in the much anticipated film adaptation of Suzanne Collins’ worldwide smash hit novel Catching Fire. '” Read more, including other casting rumors, here. From The Jane Dough: In a year that has brought so much news and controversy over reproductive rights and contraception, it’s refreshing to hear someone speak out from a rational and unbiased point of view. 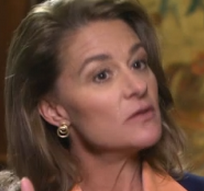 Reports The Jane Dough, Melinda Gates, co-chair of the Bill & Melinda Gates Foundation, is on a mission to provide women the world over with access to affordable contraception. But while she’s a noted humanitarian, Gates explained in a recent interview with CNN that her background didn’t necessarily make her an obvious candidate for this cause. In a sit-down interview with CNN, Gates explained how she balances her strict Catholic upbringing with her intense desire to make affordable contraception available to more women and families. While her religious roots would seem at odds with her contraception campaign (in fact, she’s already gotten some flack from some religious outlets), Gates argued that she had an ‘incredible social justice upbringing’ that drives her. ‘So, we’re not going to agree on everything,” Gates explained, ‘but that’s okay.’ Well put.” Watch video of the interview and read more here. From The Braiser: The Olympics are soon, and chefs are getting ready. 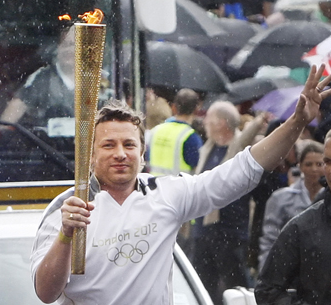 Most recently, Jamie Oliver got to carry the Olympic torch through his hometown. Reports The Braiser, ” Despite the torrential downpour, hundreds lined the streets to see the celebrity chef and healthy eating advocate run the torch through his hometown of Newport and past his childhood alma mater, the Newport Free Grammar School. ‘It was a real treat especially to run past my old school and see all my old mates and dinner ladies,’ he tweeted later, along with a photo of himself soaked in rain… The flame, which is lit in Greece, had already been carried around the world as part of the traditional relay across the globe, and being chosen to participate in the relay is an enormous honor. 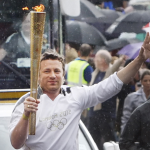 But Jamie had no comment on whether he felt any discomfort by holding a giant cheese grater while running, nor did he mention whether he’d use the Olympic flame to burn down the giant McDonald’s at London’s Olympic Park.” Read the article here.